A "malicious spam" has hit the internet-based audio-video communicator 'Skype' in the Indian cyberspace and anti-hacking sleuths have asked users to remain alert and cautious. 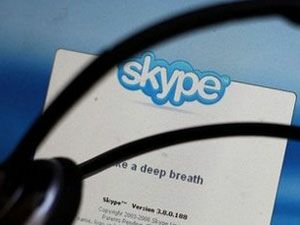 "A malicious spam campaign is on the rise targetingSkype users by sending instant message which appears to come from friends in the Skype contact list," a government advisory to 'Skype' users in the country said. The government agency mandated to counter such threats-- the Computer Emergency Response Team (CERT-In) under the Communications and Information Technology ministry, said the spam "eventually controls the victim machine by opening a backdoor and communicating to a remote http server. Cyber sleuths have also recommended a number of counter- measures in this regard as it asked the users of this form of web telephony not to "follow unsolicited web links or attachments in Skype messages and install latest security updates to Skype". "Download the latest version of the Skype from the trusted markets, install and maintain updated anti-virus software at gateway and desktop level, use caution when opening attachments and accepting file transfers, disable auto play feature as a safe practice.